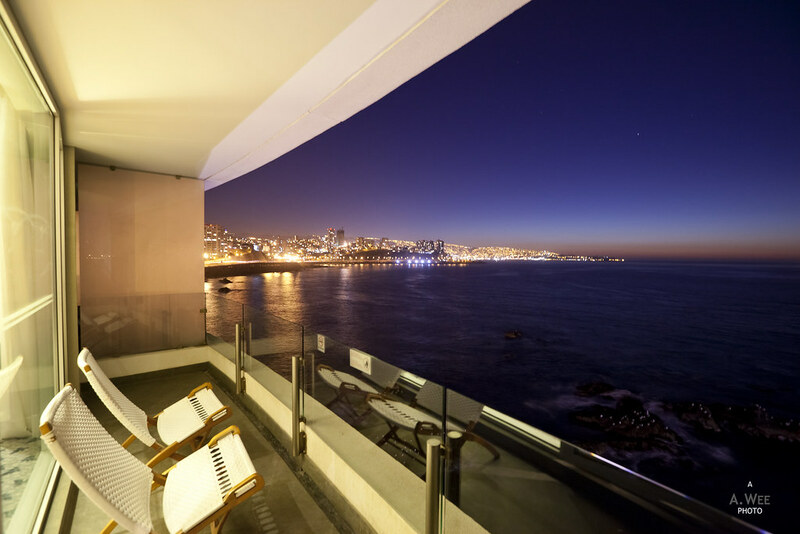 Valparaiso might be the more well known coastal city in Chile for its funicular and hilltop houses overlooking the harbour but I chose to stay in Viña del Mar instead because of the presence of an SPG hotel and the fact that I was driving down required a parking spot. There was few hotels if any in the hilltop of Valparaiso that offers secured parking and I figured I do not want to take the risk with a rental car. 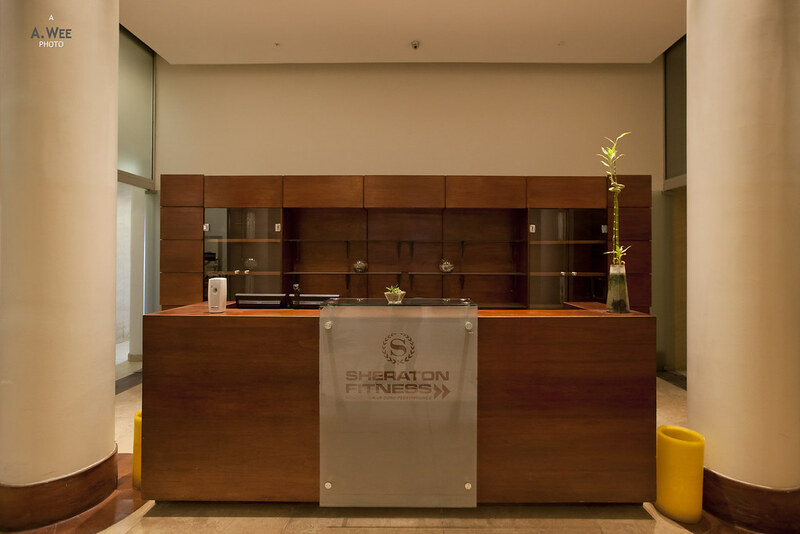 Thus I decided to stay at the Sheraton Miramar which has an awesome waterfront location, and after all views are what makes it worthwhile to visit Valparaiso and Viña del Mar, as they are located along the Pacific Ocean coastline. 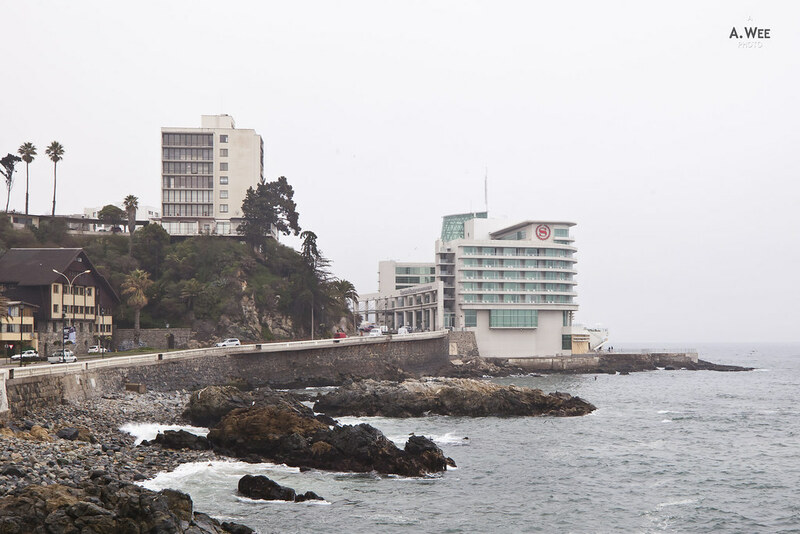 As a distinctive landmark, it was unmissable driving along Avenida Marina from Viña del Mar with its modern facade creating a landmark along this oceanfront promenade. 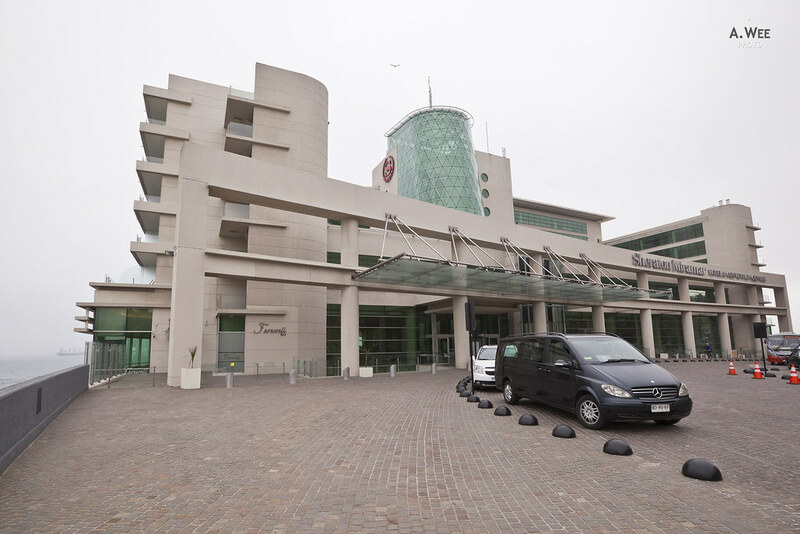 Arriving at the front porch of the hotel, I was able to park the car outside while I went into the lobby to check-in since I would be driving out to Valparaiso with only one night spent in town. 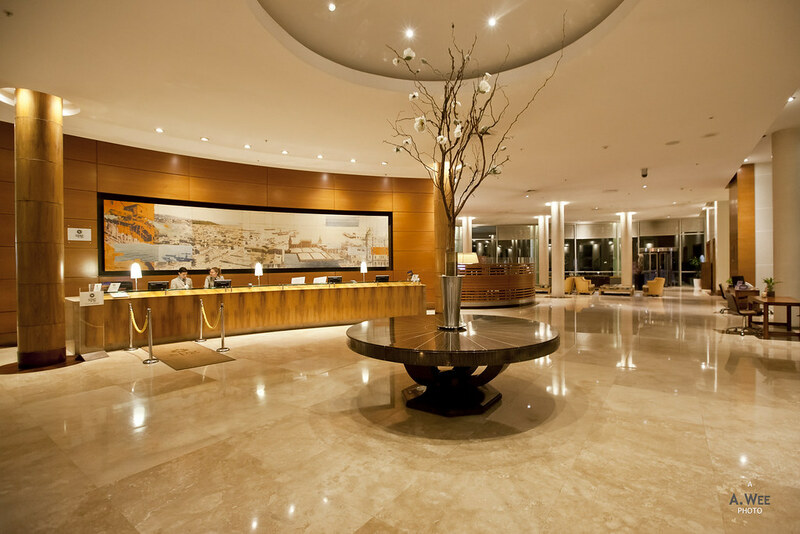 Inside the lobby, there is a large reception area with no queues so I was served almost immediately by a front desk agent. Check-in at the hotel was slightly slower than usual though I was pleased that they proactively upgraded me to a corner classic room, which is supposed to have sweeping vistas of the ocean and the coastline. Though I should make a note that nearly all the rooms here has ocean views, so even the base rooms booked from SPG.com should get base members a room with a view. Accessing the room is via a bubble elevator but the hotel is not very tall so it was a short ride to my room on the 4th floor. 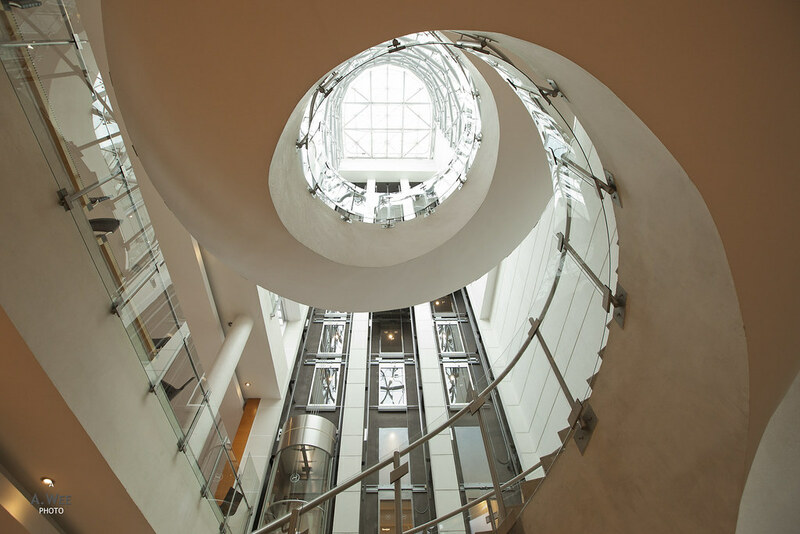 With less than 10 storeys, there really is not a better view to be had from the top though rooms on higher floors should be quieter due to music from the lounge and terrace that could emanate in the evenings. 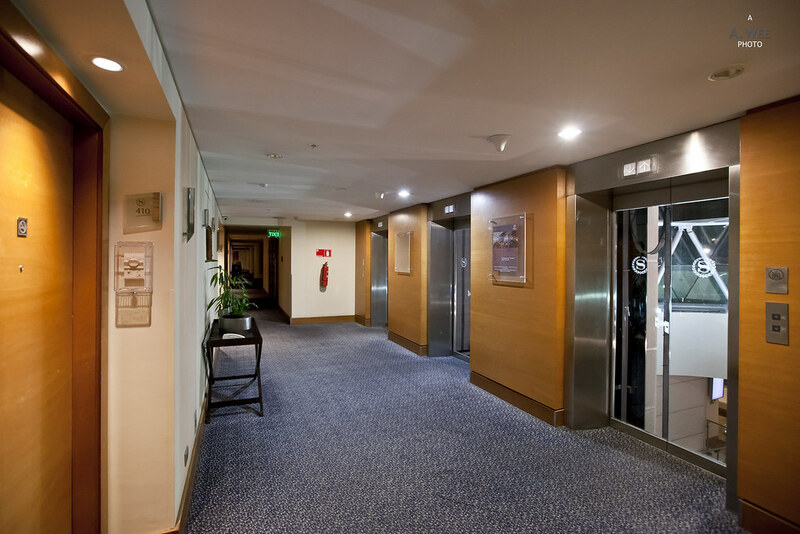 The walkway from the elevator to the room was very nicely done as it had a row of glass windows allowing natural light to enter, brightening the space and making it more comfortable. Inside the room, I was again pleased with the overall size. And I was particularly impressed with the bathroom. There was a large bathtub and an enclosed shower cubicle. The bathroom layout was kind of similar in size and fittings to the View Rooms in Westin Nagoya and the Loft Suites in the Westin Whistler. 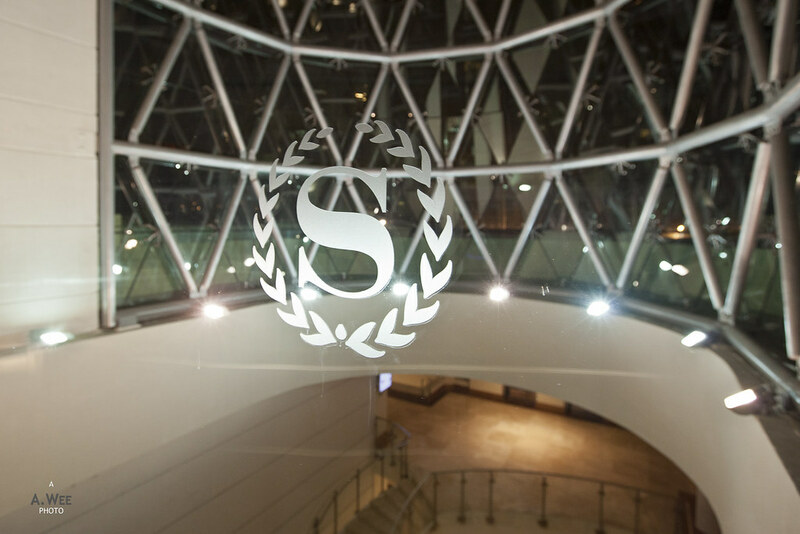 For a Sheraton, that is mighty nice! 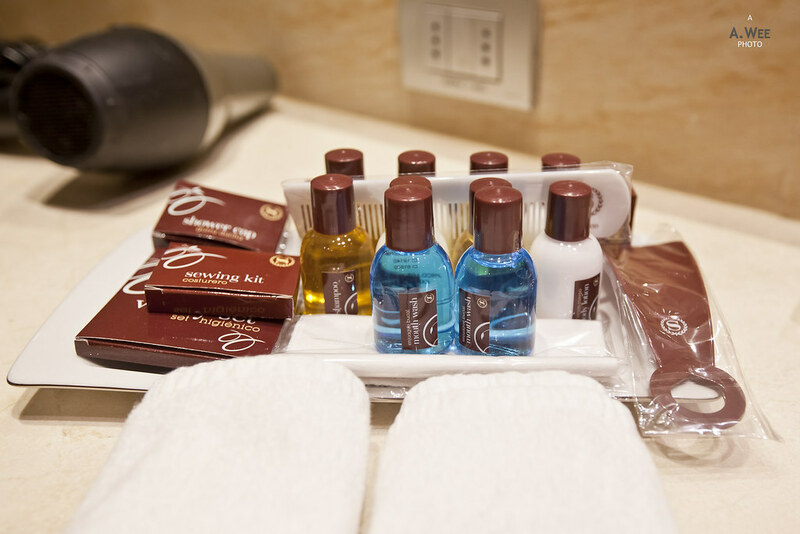 Another generous benefit was the complete bathroom amenity set provided for guests in the bathroom and there was 2 sets of the usual toiletries along with a plastic wrapped comb and shoe horn. There was also the sewing kit, shower cap and vanity kit! 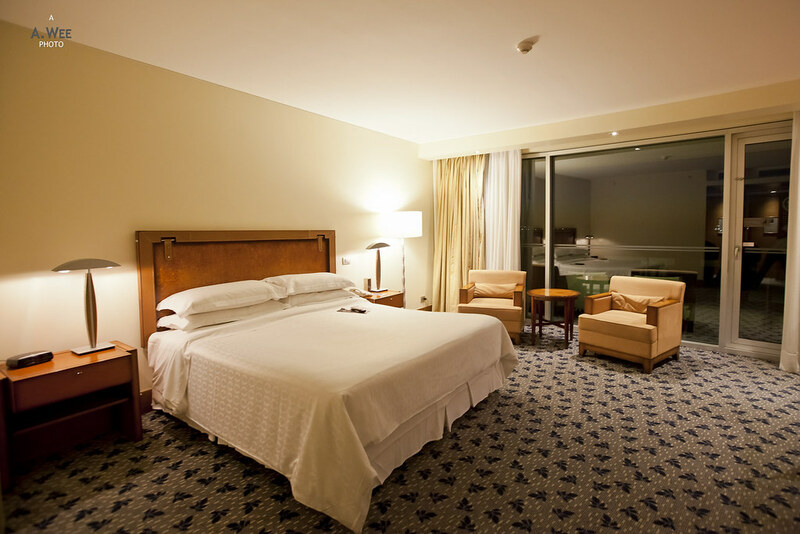 Moving to the bedroom, the is a large King bed with 2 armchairs by the window. There is a door that leads to the balcony outside where there are 2 more deck loungers. In terms of furnishings, you can’t really fault it, and the large room size actually made it feel like there is a lack of furniture. The empty space after the bed could be filled with a bench of some sorts for example, as that would make it perfect! On the other end of the room, there is a work desk and a TV console though the flat screen TV was wall mounted, leaving more space for the coffee machine and minibar. Though for a South American nation, Chile does not really have the nicest coffee. It is drinkable but I would just pass if I do not need the caffeine. 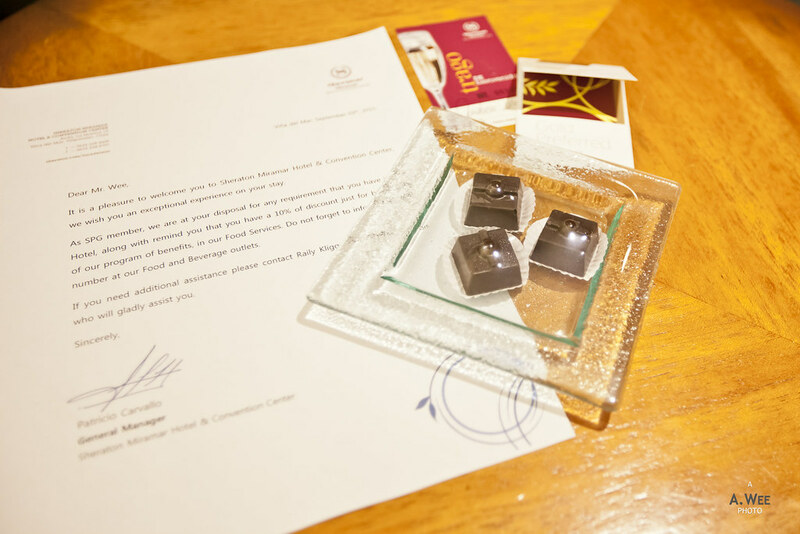 As an SPG Gold member I was given some chocolates and a welcome letter in the room, which was a nice gesture. The best part of the room was the balcony which provides some amazing vistas at dusk and at sunrise. Though due to the western facing coastline, the sunset provides a more magnificent view. 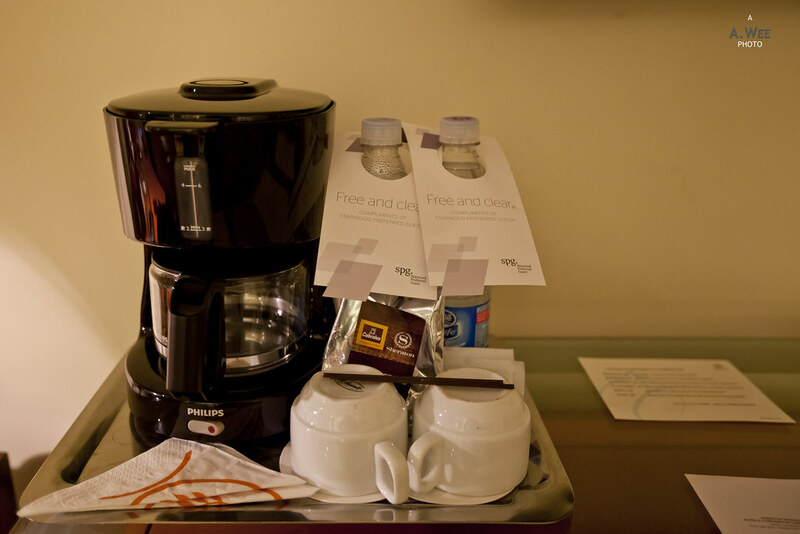 I did not have breakfast in the hotel as I munched on some fruits and had some coffee in the room after a heavy dinner in town the previous night. Thus I did not really try out the hotel dining options. While there are some restaurants in the hotel, it is best to walk or drive into town around the Casino for food. It took me around 20 minutes of a walk and about 10 minutes by car. And due to the winter climate, the fitness centre and swimming pool was closed. There was no one manning the reception desk at the fitness center as they were undergoing some renovation while the pool was devoid of water. However there is an outdoor deck and patio with a nice ocean view and a bar at the side. In the evenings there is music at the bar counter and if the weather is nice, it is a neat spot to enjoy the sunset. There are a couple of deck loungers and patio chairs for that essential pisco sour to wind down for the end of the day. 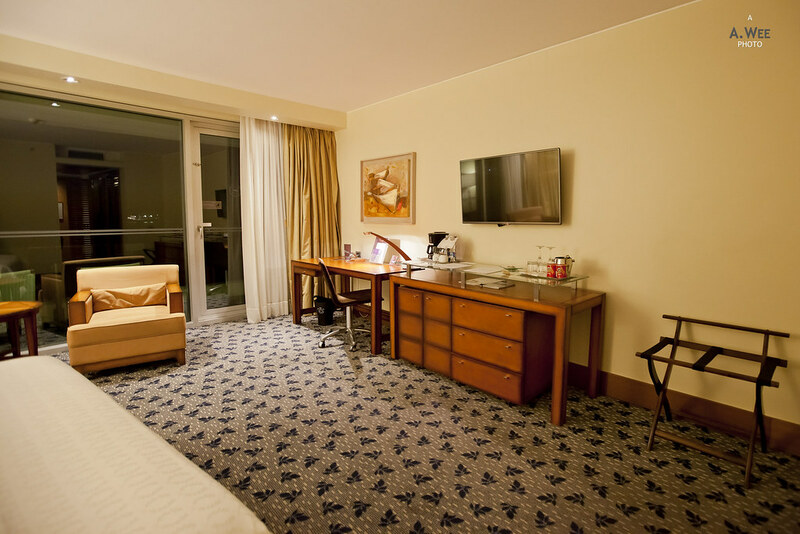 For a Sheraton, this is one of the most luxurious property that I have been to. 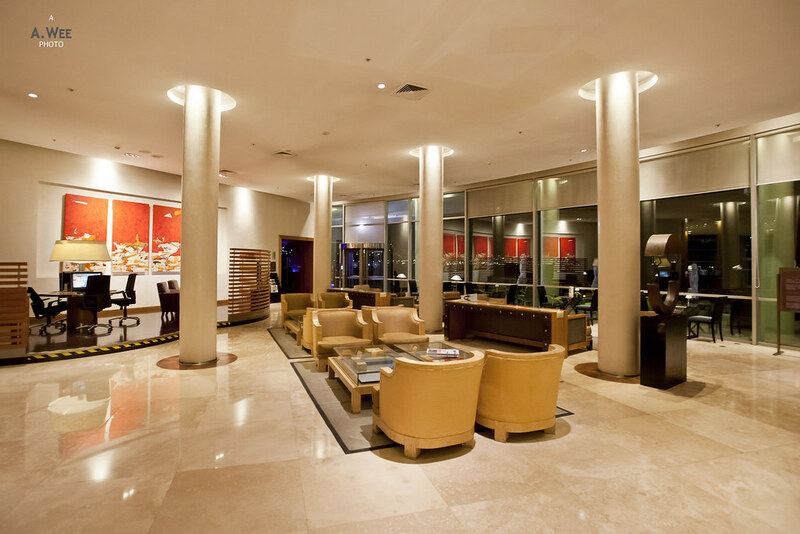 And the hotel is listed as a Category 5 property requiring between 12,000-16,000 Starpoints for a free night. Compared to the rate of $180++ that I paid, I think it is better paying the rate rather than using the points. Though I believe the room rates in the hotel would be a lot more expensive in the summer season. 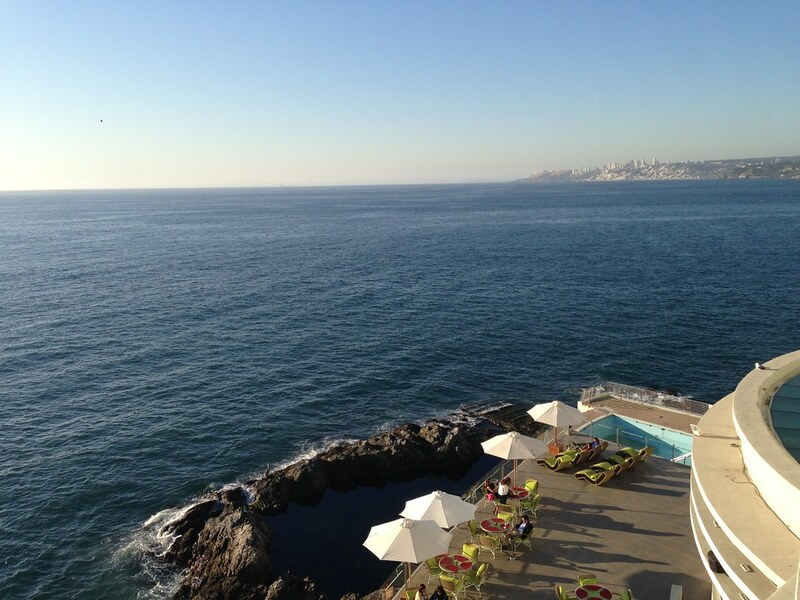 SPG members visiting Valparaiso and Viña del Mar should definitely make it a point to stay here if possible as I really enjoyed this stay. 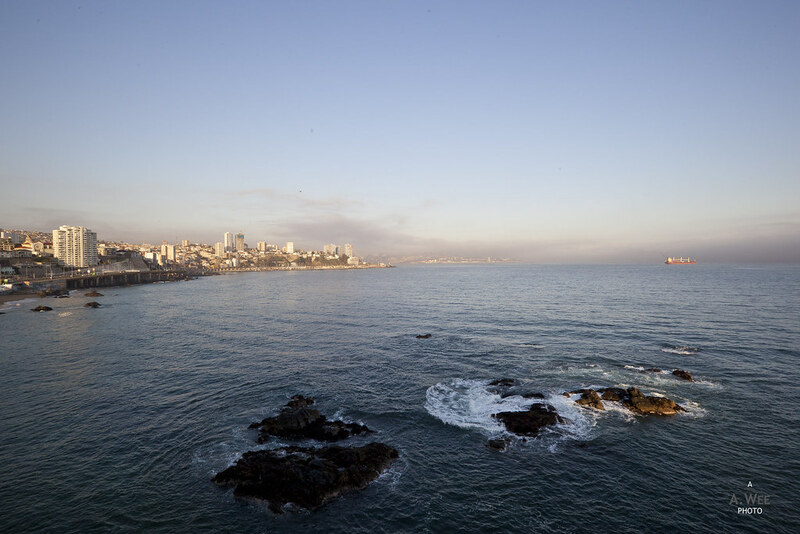 While the location is not exactly in Valparaiso, it was convenient getting in and out of the hotel when renting a car and there is a train service to Valparaiso that goes along the coast. Driving to Valparaiso was also very easy from the hotel. 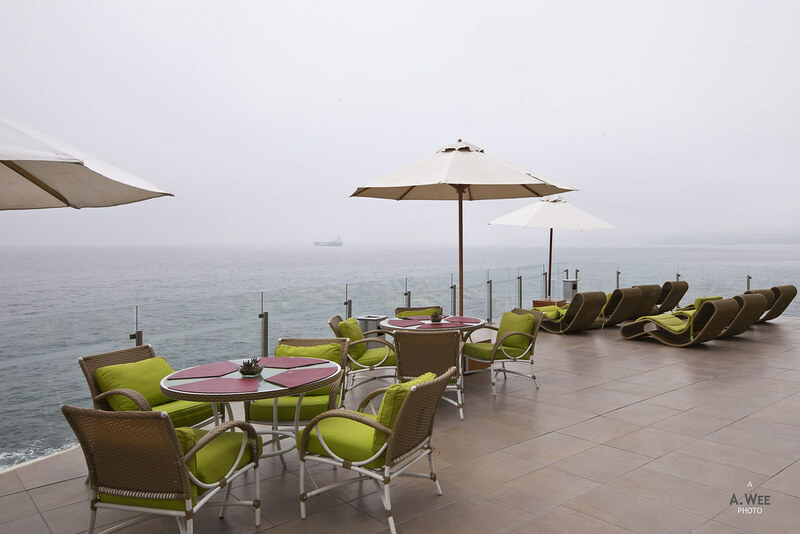 With the waterfront views, and proximity to the larger town of Viña del Mar and easy access to Valparaiso, I have no qualms staying here again when in the area.